New professional design glides through tangles without breakage or pain. Vented cushion makes hair treatment clean-up easy. 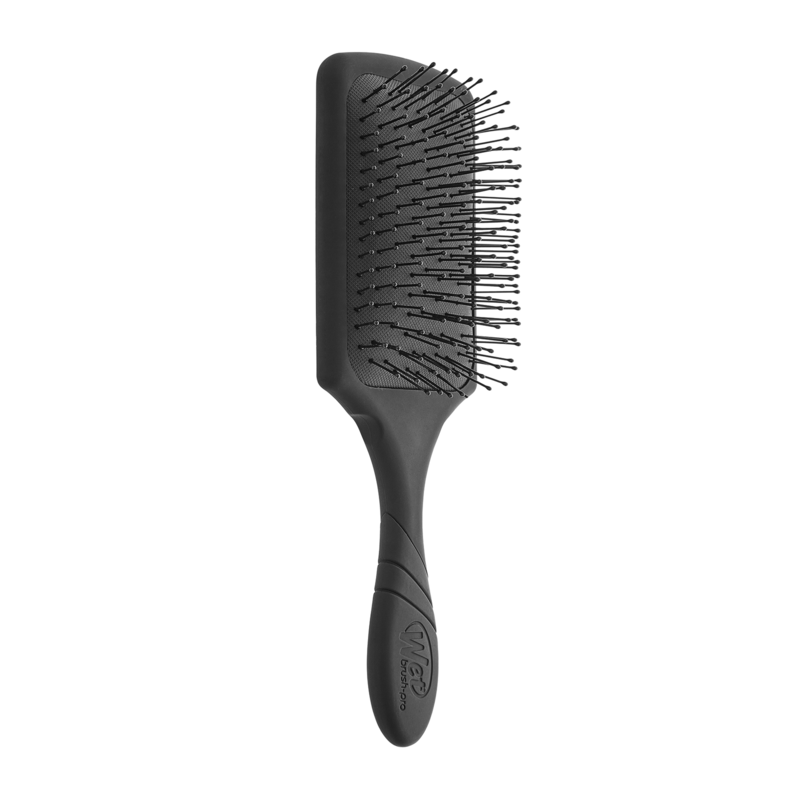 Large brush head glides through tangles with ease.